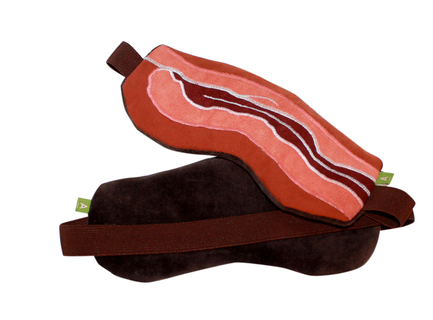 Bacon sleep mask, anyone? 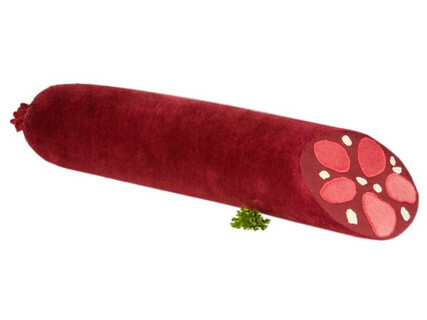 How about a blood sausage bolster pillow? An innovative new company called Aufschnitt Berlin creates hand-stitched cushions, food pillows, accessories and toys in the shape of food, animal parts and more. Founded by Silvia Wald, a textile designer, the company also offers pillows in the shapes of human organs. Aufschnitt is the German word for cold cuts, and the company uses that to great advantage. Their icon for "Shopping Cart" is a butcher’s scale. The bricks-and-mortar shop displays wares hung from meat hooks, and Wald wears a butcher’s apron. The product designs are detailed and appliquéd to create the meat look you deserve. The food pillows and toys are made of fabric, not meat, so they are vegan-friendly. They are also washable. Washable meat - there’s a new idea! Don’t forget the pets! 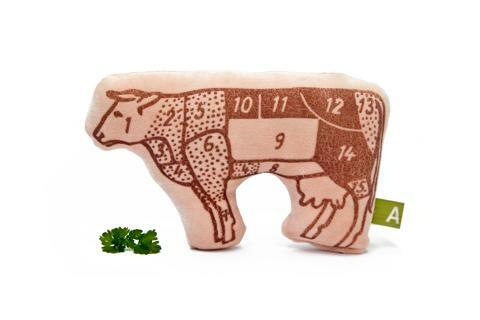 There are two squeaky toys for dogs: A cow and a pig with silk-screened vintage-style butcher’s diagrams on the fabric. 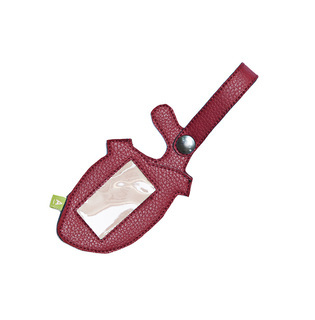 Make sure you can always find your luggage on the carousel with the Aufschnitt human heart-shaped luggage tag. This is a very practical innovation for travelers. It is created from synthetic leather and PVC. Human Heart Luggage Tag: I <3 Luggage? 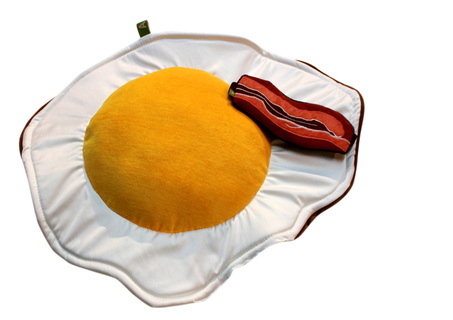 One clever set of items is a fried egg pillow, sunny side up, and a bacon eye mask. It would be like sleeping at iHop, without the yummy bacon smell. They give a completely new meaning to "breakfast in bed." Friend Aufschnitt Berlin on Facebook. We love this innovative, fearless designer, creating people-friendly food pillows with animal-friendly meat designs. Could you sleep with sausage on your face?